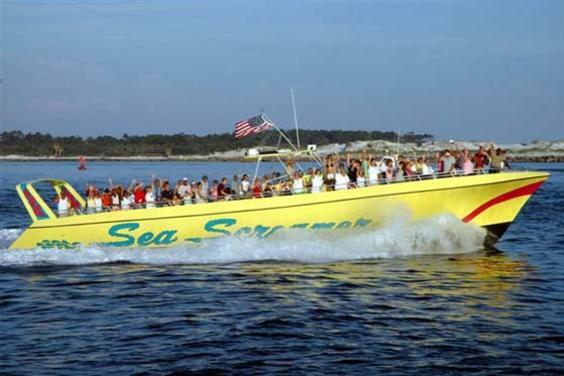 The Sea Screamer is one of Panama City Beach's most popular attractions with lots of fun for all ages. 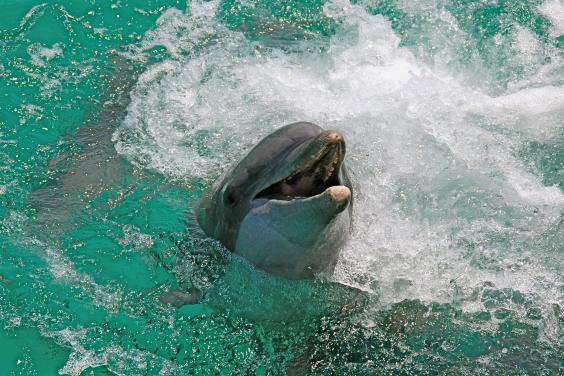 Captain and friendly crew narrate as you go to see the dolphin by Shell Island and see all the other sights along the coastline. This 2 hour cruise is the best way to see the beauty of Panama City Beach. 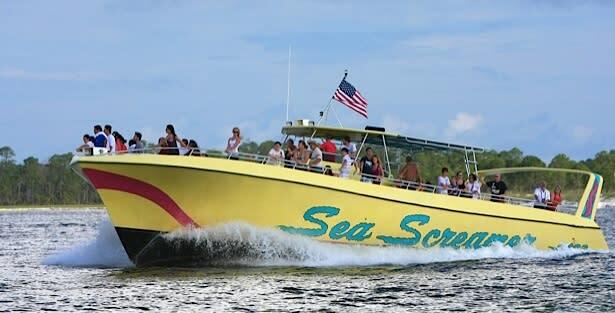 The Sea Screamer has exciting day cruises and breathtaking sunset cruises for you and your friends and family to enjoy. Journey by the beautiful Shell Island and the state park jetties, then go for a refreshing ride alongside the "World's Most Beautiful Beaches" and resorts. Captain stops at different spots close up along the beach to show you interesting sights as well as sunken wrecks in the clear waters and even shoots of the horn to make an echo effect off condo buildings. You have to hear this! 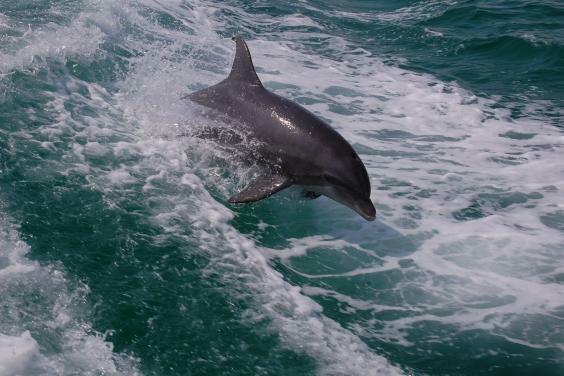 Fun jumping dolphins and other marine life sightings, like our critter-crab encounter, make the 2 hour trip on the Sea Screamer one of the best adventures of your vacation! The very friendly and personable crew provide a great service while you’re on board by narrating about the local history, playing fun music, serving drinks and snacks and even applying a cool dolphin tattoo. 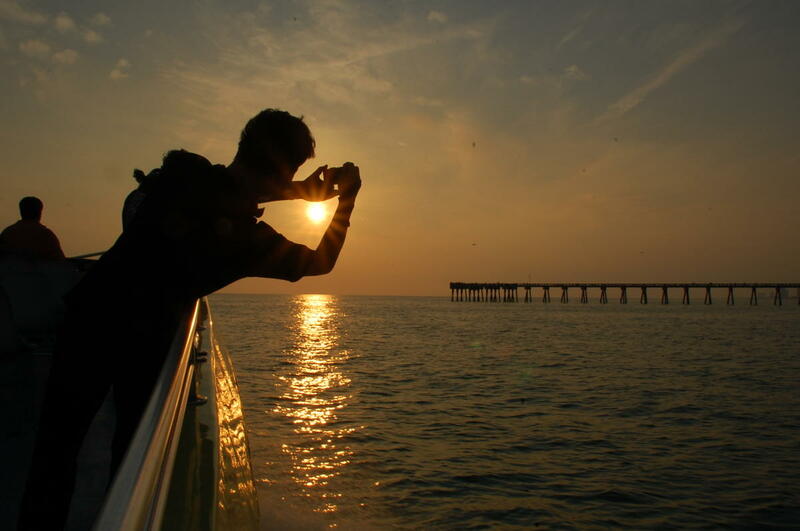 It is a must to bring your camera to capture the great memories! Kids or the adults can take their hand at the steering wheel. 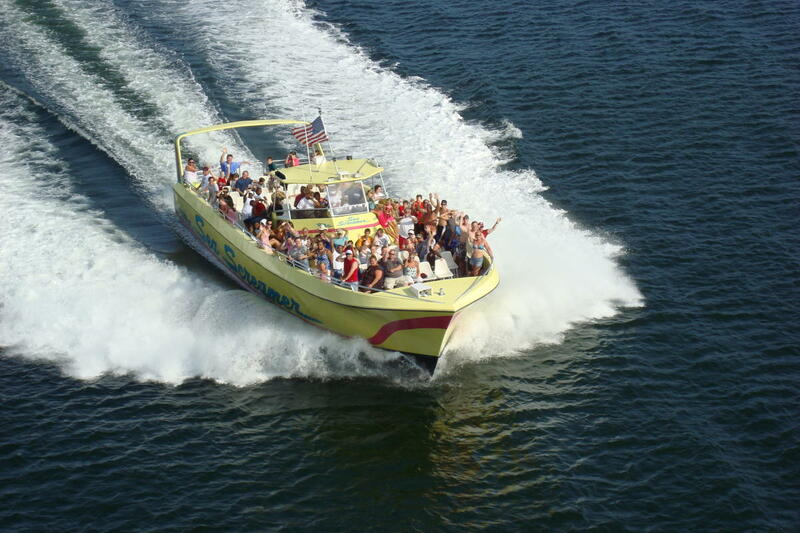 Stand beside the captain for a brief time during the 2-hour cruise to get the best photo-op while you're driving the big Yella Boat! 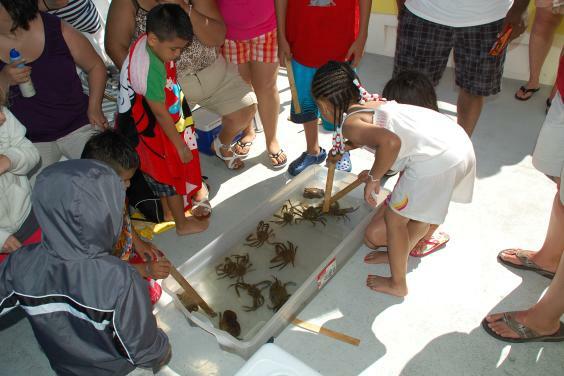 All ages have a load of fun while cruising with us. Water gun battles in the summer time are a favorite with the fun kids on board. 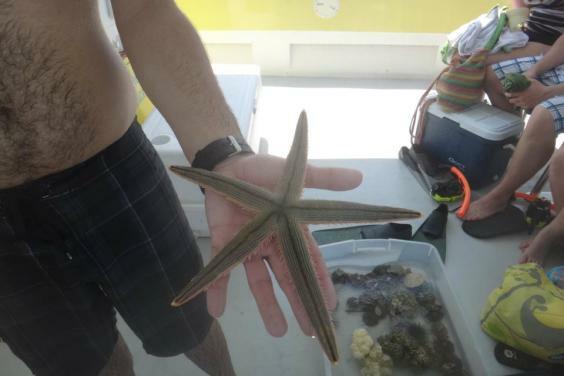 The clean and roomy restrooms are below deck. No worries! Cold refreshments and snacks are available to purchase. Please ask about our NEWLY added super awesome snorkel and swim trips!! 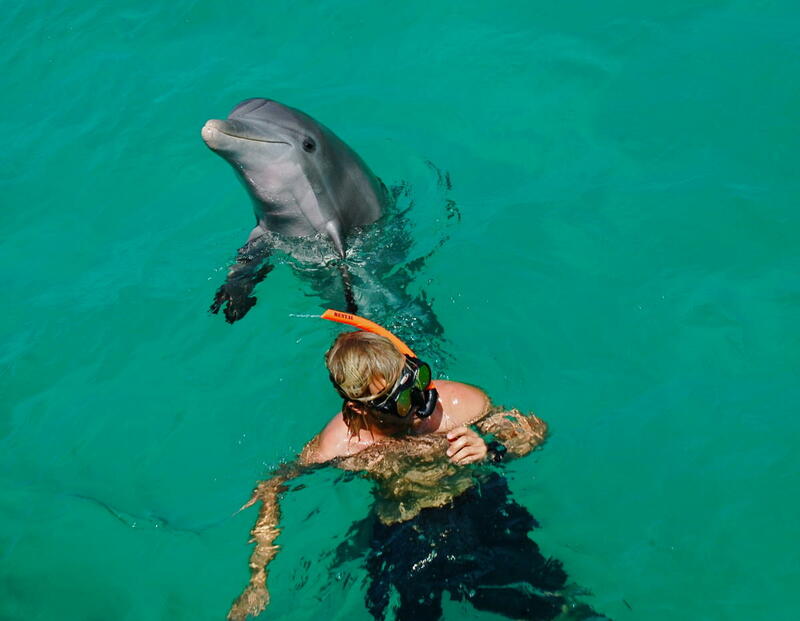 These snorkel trips have been a great addition to our excursions. 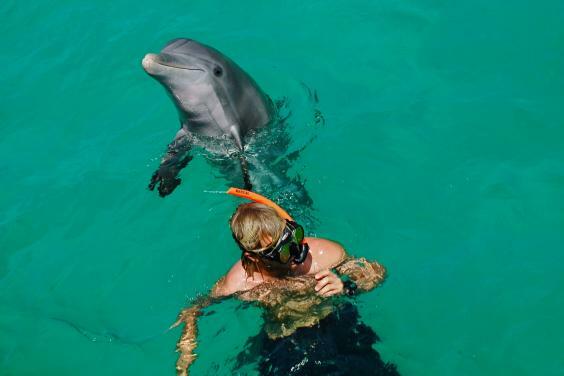 We have all the snorkel gear, and we take swimmers to the prime snorkeling spots to see underwater marine life up close. 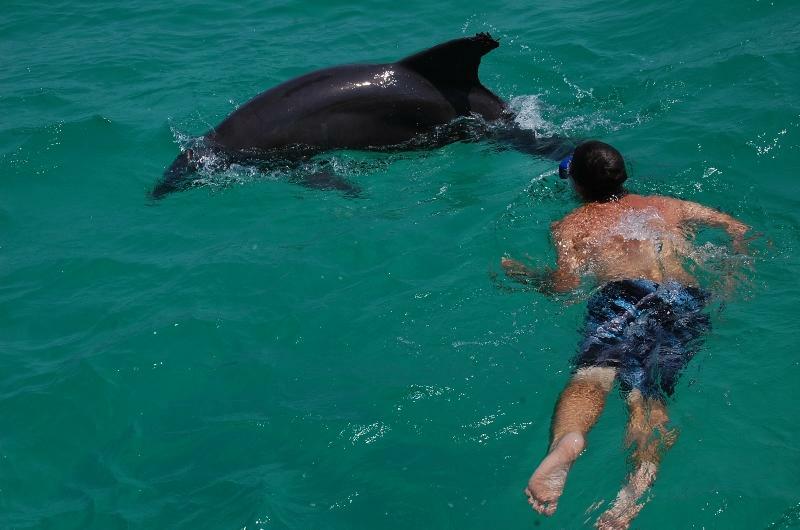 Our certified, qualified crew are hand picked and have grown up swimming about in these local waters. 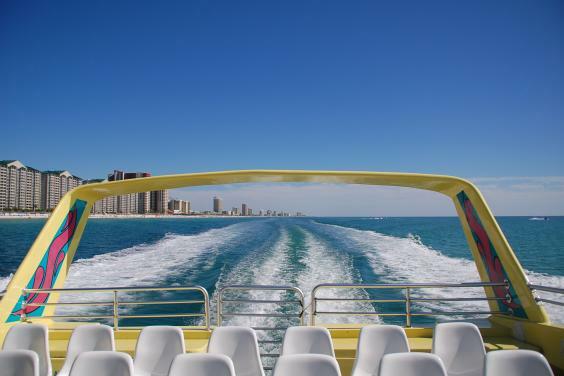 So, after you choose from our choice of trips, then take a moment and call in to our ticket booth to reserve your spot on board. Reservations are highly encouraged. 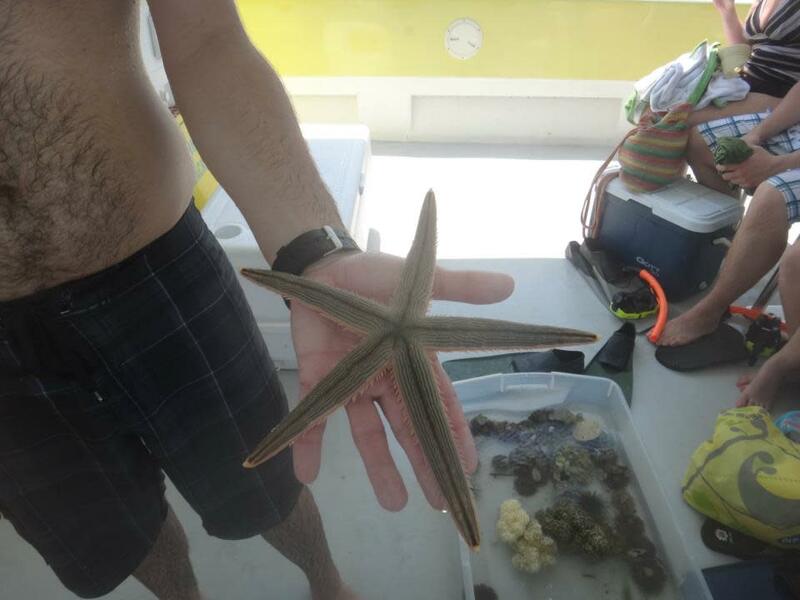 Limited space on the snorkel and swim trips. 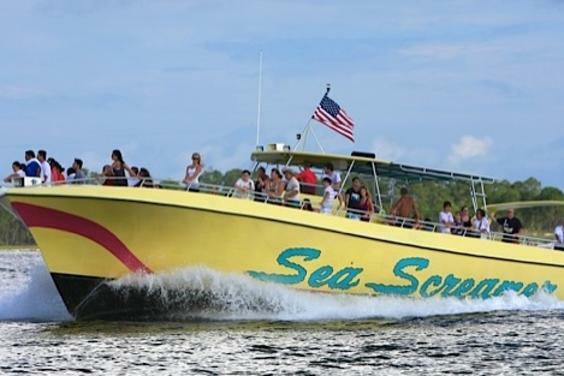 The ticket booth and our Coast Guard certified 73' turbo charged tour speed boat is located in the Treasure Island Marina, which is at the East End of the beaches in the Grand Lagoon Area, aka- Gateway to the Gulf! Call us as soon as you get into town. Leave a message with us on the phone - if the line is busy - and we will call you back to confirm your reservation and/or answer any of your questions. 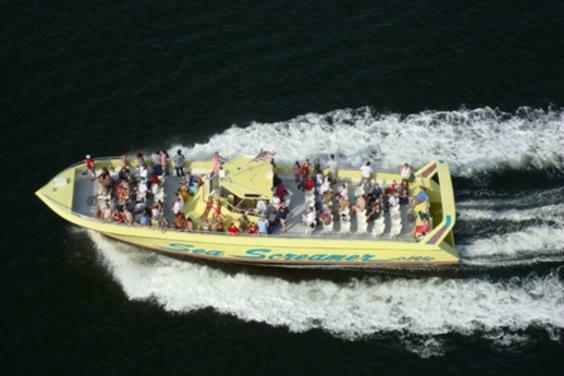 Everyone here at the Sea Screamer pledges to make sure that your experience with us is the best.